The University of Texas at Arlington understands and values the hard work and effort you put into earning your degree. It is that understanding that makes the faculty and administration committed to ensuring that your degree has value when you enter the career of your choice. This commitment underscores our policy on scholastic dishonesty and academic integrity. It is our expectation here at UT Arlington that “Mavericks” use their own minds. As such, faculty and staff have a no tolerance policy when it comes to violating our scholastic dishonesty policies. It is important for you as an incoming student to under- stand the policies so that you know how to avoid placing yourself in violation. The University policies on scholastic dishonesty can be found in the Student Code of Conduct (Chapter 2 of the Handbook of Operating Procedures). any act designed to give unfair advantage to a student or the attempt to commit such an act. Plagiarism, meaning the unacknowledged incorporation of the work of another in work that is offered for credit. Collusion, meaning working with another student on homework or other assignments that are offered for credit when the faculty member hasn’t given permission to do so. Each class you attend at UT Arlington will have a syllabus that outlines the expectations of your work as a student in that faculty member’s course. Included on each syllabus will be a statement regarding the expectations for academic integrity in that specific course. It is important for you to read this policy and to ask clarifying questions of your faculty member. Some faculty members will encourage working with others to problem solve homework, whereas some faculty members have strict policies against discussing homework with other students. Each course will be different, and it is your responsibility to be certain you know and abide by the policies in each of your classes. Unfortunately, as a student at UT Arlington you may face obstacles that provide challenges to your academic integrity. Many students find they are pressured by a friend who hasn’t prepared appropriately for class to share their assignments. Others find themselves stressed due to procrastination, and still others are pressured to maintain the highest grade marks and so make the decision to cheat, plagiarize, or collude to overcome those obstacles. What you must understand is that the consequences to cheating, plagiarizing, and colluding far outweigh any temporary benefit you may receive. It is the hope of all faculty and administrators at UT Arlington that you have a successful tenure as a Maverick and this includes maintaining your integrity in the classroom. Discuss the following case studies with a classmate or faculty member. A student is in a class that is held in a computer lab. All the tests are computer- based. In preparation for the midterm examination the professor gives several old versions of her tests for the students to use for practice/study material. One student responds to all of the practice tests in electronic format and saves them on his desktop. The midterm exam date rolls around and the professor indicates that the test will be open book. When the exam is passed out the student realizes that it is identical to one of the practice tests that the professor distributed for study material. The student pulls up a folder on his desktop marked Study Test Responses and copies and pastes his answers from his practice test directly to his examination. 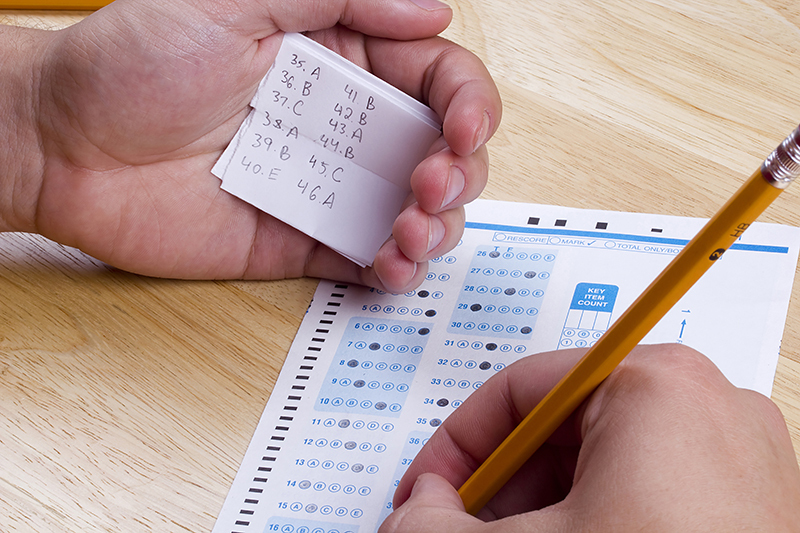 Has the student committed scholastic dishonesty? What would your response be if you knew that the student was a part of a study group and that they answered the practice test questions as a group? What if the student and another student who was a part of the group both used the “group responses” in their examination? According to Wikipedia, “Nursing comes in various forms in every culture, although the definition of the term and the practice of nursing has changed greatly over time.” One of the oldest definitions of the word from the English language is a woman who is hired to suckle and generally care for a young child. Later, this developed into the concept of looking after someone, not just meaning a woman looking after a child. Nursing has developed into this later definition, although the concept of nourishing in the broadest sense refers to present day nursing and the promotion of quality of life. Nursing comes in various forms in every culture, although the definition of the term and the practice of nursing has changed greatly over time. The oldest sense of the word in the English language is a woman employed to suckle and/or generally care for a younger child. The former being known as a wet nurse and the latter being known as a dry nurse. In the 15th century, this developed into the idea of looking after or advising another, not necessarily meaning a woman looking after a child. Nursing has continued to develop in this latter sense, although the idea of nourishing in the broadest sense refers in modern nursing to promoting quality of life.